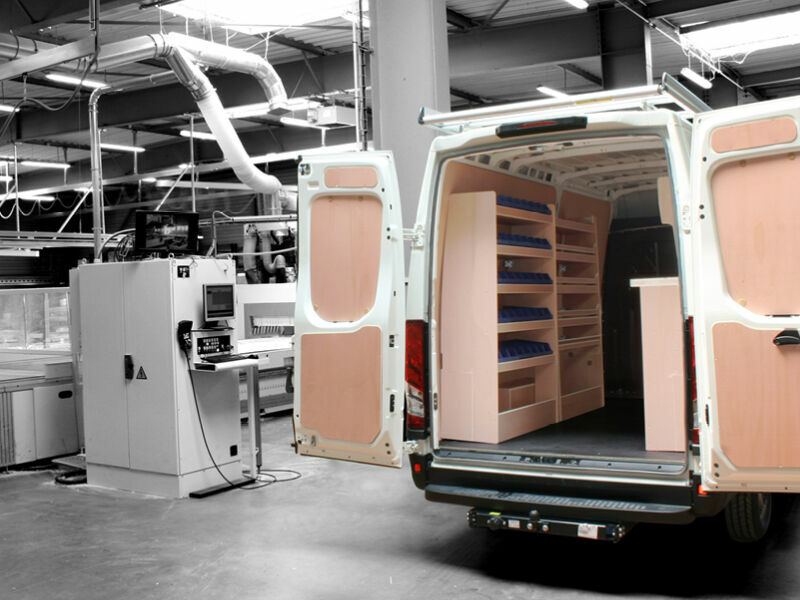 In Nantes we visit a company specialised in fitting commercial vehicles. MDP has focussed in this sector with 6 SCM work centres, purchased between 2004 and 2016. “After training as a joiner, I was looking for an idea to fulfil myself”, explains Pascal Dabireau, company manager. “I therefore leased a part of my father’s plant to develop a range of products to fit commercial vehicles. In 1990 I began the business and, after an initial period with some difficulties, everything worked out well…”. After starting with a Renault Express, MDP now fits numerous brands of commercial vehicles and is a reference point for various car manufacturers (Renault, Ford, Opel, Nissan and Renault Trucks). "The company works in shifts (in 3/8) and counts on an integrated design office”, continues Pascal Dabireau. “We employ 45 people and about a dozen temporary workers to fit 28,000 vehicles a year." Split between two sites, a few hundred metres from each other, the MDP production is manufactured just-in-time in order to limit stockpiling. “We work with two days’ notice and very tight deadlines, with only seven days from order to delivery. This is why we need an advanced, up to date and super-efficient machine inventory. 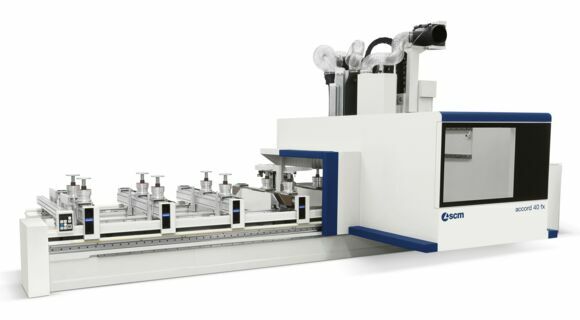 Today the machines include integrated loading and unloading systems, that help us save time and space in our plants. We constantly follow the latest technical innovations to further optimise our production”. 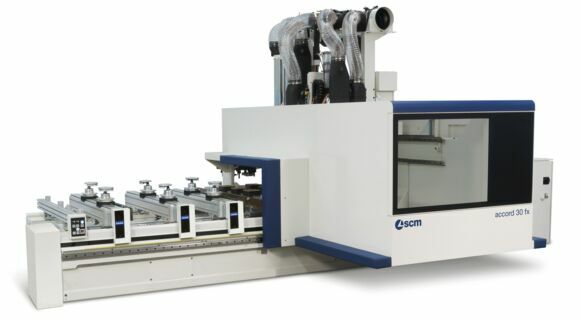 The pieces are machined exclusively on SCM work centres, including two new Accord 30 NST cells for nesting operations, purchased in 2016. “We don’t mass produce. 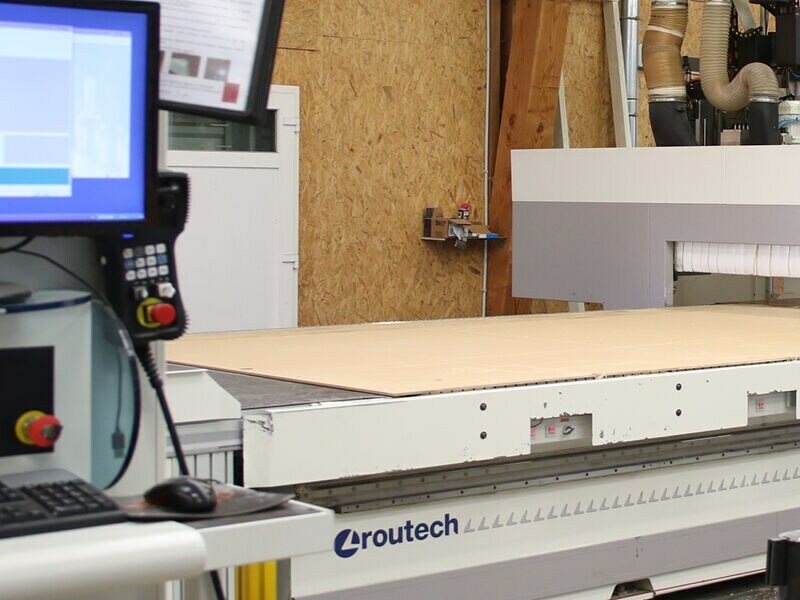 The same plywood panel can be used for making parts for a Renault Kangoo and for a Peugeot Partner.” A flexibility that allows MDP to offer more than 8000 different pieces machined with a single software (“created by my brother”) and to fit between 110 and 120 vehicles a day. 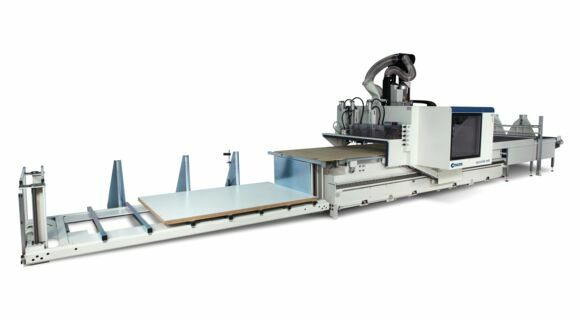 MDP does not simply machine the panels, it also finishes them by painting 100% of its production. “We had this idea in 2010. Beforehand we installed unfinished panels in the finished vehicles, but the aesthetic results weren’t optimum”. Once machined and painted the parts are fitted to reduce the operating times and allow a Kangoo to be fitted in “10 or 15 minutes”. An attention to detail that has been the hallmark of the company’s success, which enjoyed double digit growth in 2016 (12 million for MDP and 1.5 million for MDP finishing). In 2017, MDP wants to maintain its growth with “at least +15% in turnover and new investments to complete the machine stock”, in order to continue fitting with wood the commercial vehicles of its 3.500 customers.